Riding motorcycles on the highways and byways in North Carolina often brings a serious risk of injuries due to an accident, even if the riders are appropriately equipped with protective gear, including a helmet and clothing designed to protect the body. Because bikers do not have the protection of a “cage” that passenger car vehicles provide, they are more at risk for catastrophic injuries in a crash. At Strickland, Agner & Associates, we fight for the rights of those who have been seriously injured in motorcycle accidents. We are extremely thorough as we document these types of injuries and estimate how the victim will be affected in the long term. Head injuries are the most common reason for motorcycle accident fatalities. A majority of motorcycle accident fatalities occur because the riders are ejected from the motorcycle and suffer severe traumatic brain injuries (TBIs). If motorcyclists survive severe head trauma, they could become permanently and severely disabled. They will need some level of continuing medical care either at home or as a resident in a medical facility for the rest of their lives. Also, recent neurological research into the effects of concussions and traumatic brain injuries shows a causative link to a higher risk of eventually developing progressive cognitive impairment and even dementia. After the head, the most commonly reported injuries from motorcycle accidents are the arms and the legs. Some of these injuries can be quite severe and lead to multiple surgeries, including amputation, and lifelong medical problems and pain for the victim. Road rash is also a common injury for motorcyclists who’ve been in an accident. These scrapes and burns from contact with asphalt and concrete can be as minor as a quickly-healing cut or extremely severe, and they may affect several layers of the skin. Motorcycle safety gear can undoubtedly help you prevent or minimize injuries if you are involved in a motorcycle accident. Studies across the United States have shown a significant decrease in motorcycle accident fatalities in states that require motorcyclists to wear helmets. North Carolina requires all motorcyclists to wear helmets. The odds of suffering a severe traumatic brain injury are significantly reduced when a helmet protects your head. Also, a full-face helmet, which will not impair your vision, is the best option to ensure that both your face and your brain have protection in the event of an accident. Gloves – Always protect your hands when riding. You should make sure your gloves are specifically designed for motorcycle riding. One of the distinguishing features of these types of gloves is that they have a retention strap that you secure around your wrist, which keeps the gloves from coming off in a motorcycle accident. Suits, pants, and jackets – These are all made out of sturdy materials like thick and strong leather to buffer your body from the impact of a motorcycle accident. It’s better for you to spend the money on high-quality clothing than to suffer severe injuries in a crash. Boots or other protective footwear – These protect your ankles and feet. Look for boots that have a strong sole, provide firm ankle support, and give your foot good grip, as well as protecting your feet from being crushed. Heavy-duty work boots or combat boots – you can pick these up at military surplus stores – are an excellent idea to purchase. Wearing this type of clothing will go a long way in protecting you if you are unfortunately involved in a motorcycle accident. Always wear a full-face helmet. Always wear protective clothing that is designed for motorcycle riders. Perform safety checks to ensure that your brakes, clutch and throttle, and horn are all in excellent working order and that your mirrors are clean and properly adjusted. Drive defensively, so you are aware of what is happening in traffic around you. If you’re riding in a group, ride with motorcyclists you trust and who know how to ride. Don’t ride when you’re tired. Make sure to keep your riding skills sharp. Consider using courses designed just for motorcyclists. Don’t perform dangerous maneuvers while riding. It takes next to nothing for a motorcycle to wreck. It’s not worth your life. Don’t weave in and out of traffic or ride in areas of the road – or off the road, such as sidewalks ─ that are not designed for traffic. Allow plenty of space between your bike and other vehicles. Following these tips can help prevent a devastating motorcycle accident. However, even if you take every precaution to be safe on the road, you can’t control other drivers. If you’re hurt due to the reckless or negligent actions of another driver, you have the right to pursue compensation to protect your health and your financial future. 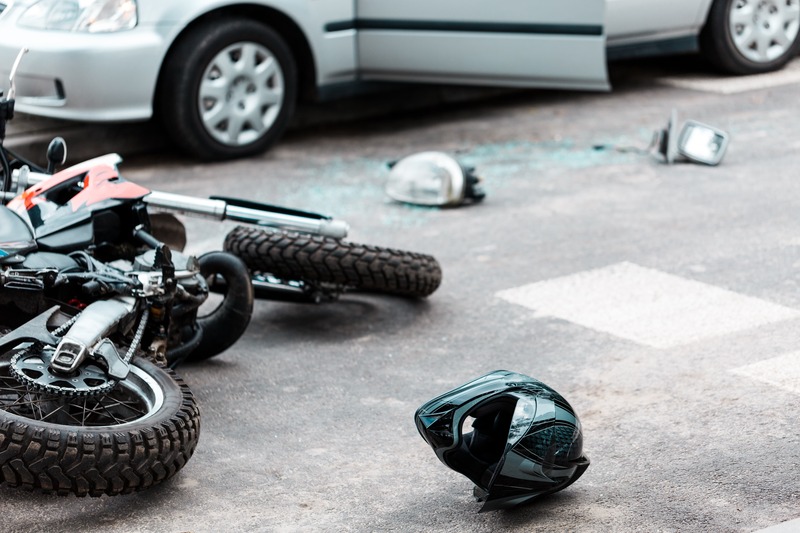 At Strickland Agner Pittman, we stand up for the rights of injured motorcyclists by leveling the playing field against insurance companies and negligent drivers. You do not have to pay anything upfront for our services. We are paid only when we recover compensation for you. Strickland Agner Pittman offers free consultations to motorcycle accident victims in Goldsboro and surrounding areas. Let us help provide you with peace of mind and the compassionate, professional, and experienced legal help that you deserve. We are available 24/7, so call us at (919) 735-8888 to speak with a member of our team.